Would love to win anything from StriVectin. Once I try it and like it I will buy it. Only reason haven’t done so is because of price. Also spent $800 on skincare products that didn’t do what they said. I have slightly sensitive, dry, mature skin. I decided I would either get samples for free or by samples first before I by the product. This would be a great way for me to try StriVectin. 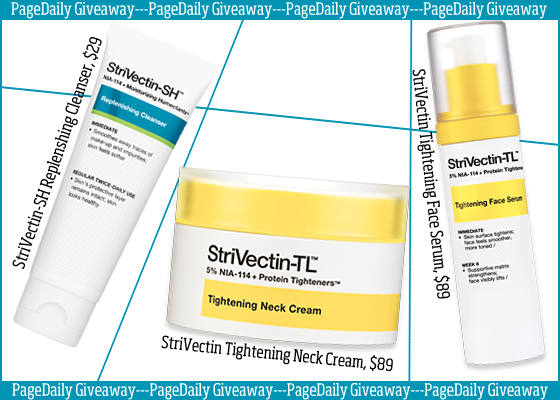 Love to win the Strivectin products. They are the best!! Love their products!! Haven’t tried one that I didn’t really like. Would really like to win StriVectin Replenishing Cleanser. I have dry skin. It is really what my skin needs.